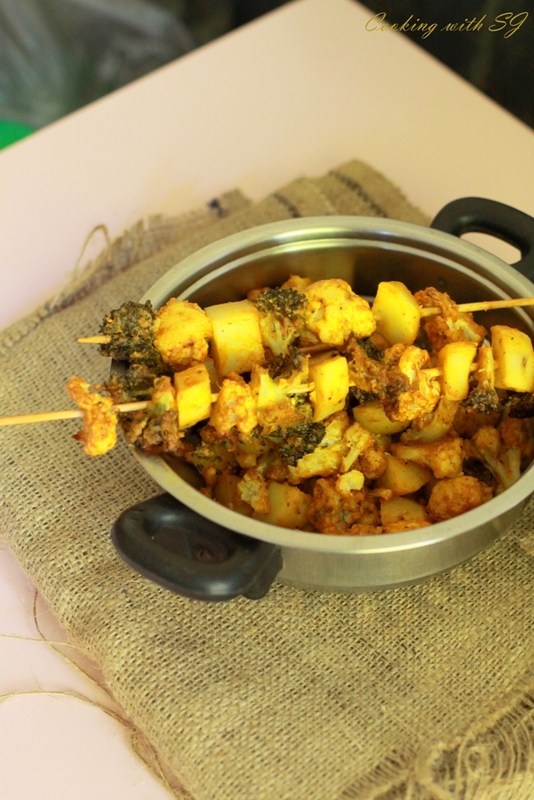 Not in good mood to write a food-story this time… so here is a recipe!!! Mix yogurt, besan, methi, spices and oil in a big bowl. Add florets into it and coat them well with marinade. Next day, bake in pre-heated oven on 200 degrees for 15-20 mins. 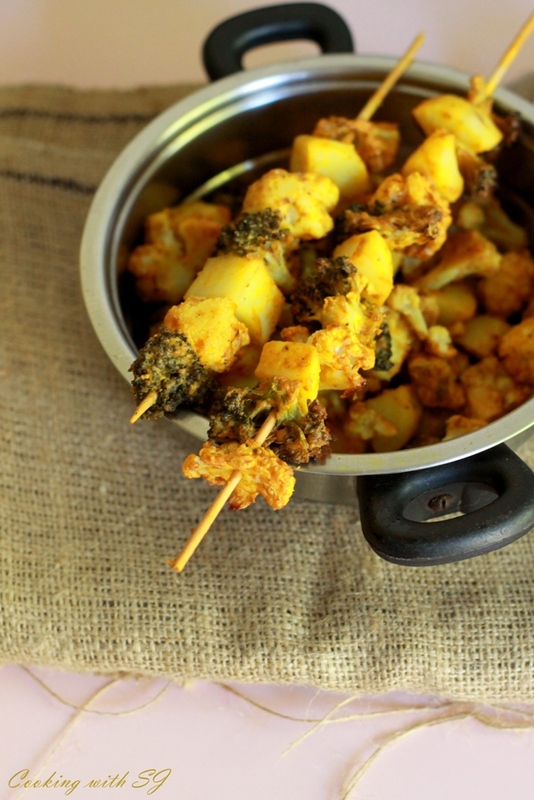 You can use your favorite stuff to make these skewers i.e. potatoes, carrots, paneer, sweet potato, purple yam, mushrooms etc. I prefer keeping it simple so didn’t add many spices in marinade. You can choose to add routine Indian spices, if needed!! !